Padaido is a small archipelago consists of 30 small islands and is located along the southeast side of the island of Biak, Papua, Indonesia. Formerly, this archipelagi was named Schouter, derived from the name of the leader of a Dutch sailors who first discovered the islands in 1602, William Schouter. Speaking about the meaning, Padaido derived from the local language which means the “inexpressible beauty”. According to a study conducted by Biodiversity Conservation Network (BCN), Padaido is one of places that has the greatest biodiversity of coral ecosystems in the world. 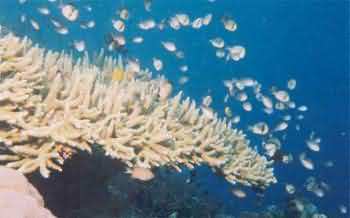 There are 95 species of coral and 155 species of fish, such as various types of sharks reef and octopuses as well as numerous other maritime properties. 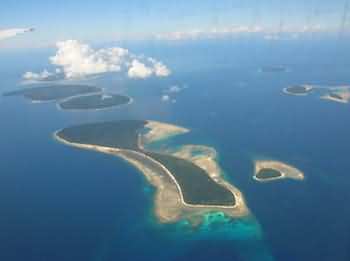 Padaido Islands is a cluster of coral islands with 30 islands in the Pacific Ocean on the east side of the island of Biak. These cluster of islands has beautiful beaches and various types of habitats such as atolls, reef edge, and underwater caves. 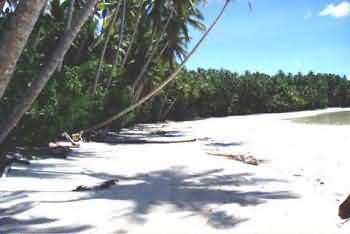 Padaido Islands has an area of reefs about 9252.1 acres and 328.2 acres for the deep reefs. Some international divers argue that Padaido beach area is one area that has the most spectacular coral reefs in the world. Therefore, this marine park is perfect for diving and snorkeling adventures. It only takes one hour from the Bosnik port to reach Padaido using motor boats, and about 3-4 hours using a canoe paddle. This island offers a variety of attractions, underwater caves, and tunnels to explore. Padaido Islands is a paradise for those of you who like diving or snorkeling. Padaido has has a wonderful and world class marine class. The most favorite among the islands is the Ureb and Mansurbabo. The beaches on those place have cotton-white sand and clear water so that sunlight can penetrates into the seabed enable us to see the marine life from the mainland. Besides having the greatest biodiversity of coral ecosystems in the world, other things that attract divers to not miss a dive in the archipelago Padaido is a challenging underwater caves to be explored. Also under the sea there are islands Padaido carcasses of sunken ships, aircraft, and tanks. 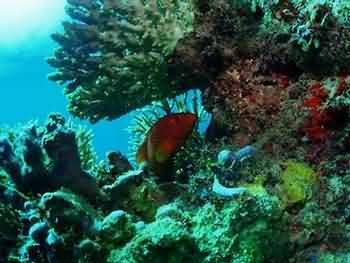 Iron-scrap is now a place of living coral reefs that become the foundation of all marine life. This location is ideal for diving activities, or sightseeing cruise. The development program in Padaido includes diversification of fishermen activities with fishing tourism using traditional fishing boats, travel packages shipwreck diving in the area as an alternative of diving activity , as well as the development of regional cruise using boat and sea plane and phinisi to reach the small islands. To reach this Islands you can use a speed b?oat from the port Bosnik for about an hour or a fishing boat for 3 to 4 hours long. You can also use the airplane from Soekarno Hatta Airport, Jakarta. There are airlines that provide a direct trip from Jakarta to Biak Island in order to increase the potential for marine tourism and historical sites in the district of Numfor Biak, Papua.